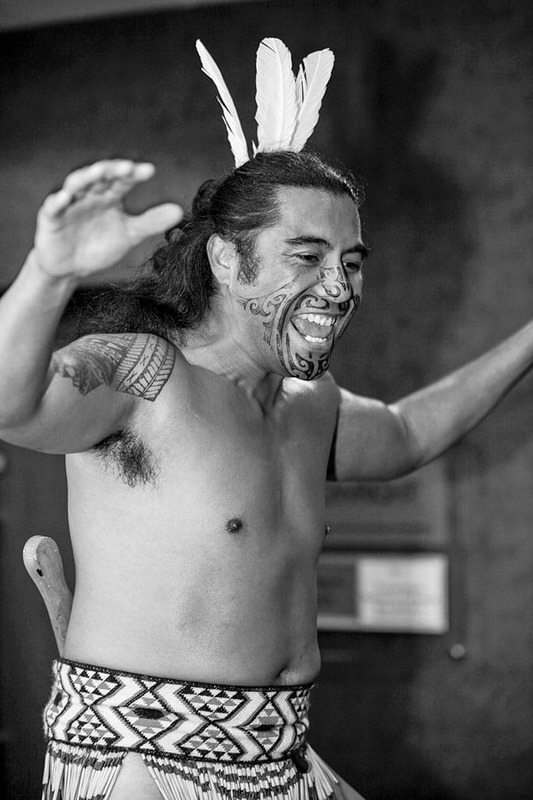 Join our in-house genuine Maori warriors for an incredible, traditional Haka workshop – for your best ever team event. The Haka is still as powerful today as it has ever been and provides the opportunity for your team to grow stronger, together. It is surprising, entertaining, motivating, uniting…and different. For help, ideas or more information, please get in touch. You can contact us by phone, email or contact form. Full contact details are on our Contact Us page. We can provide a no-obligation quote within an hour. Get a Quote now. Click the play button below to see a video summary of our Haka workshops. We can offer anything from a 30-minute energising ‘blast’ to a deeper 90-minute Haka workshop. Also, the Haka can be integrated alongside one of our drumming or other tribal activities. We often perform the Haka as a morning ice breaker and drumming as a finale. 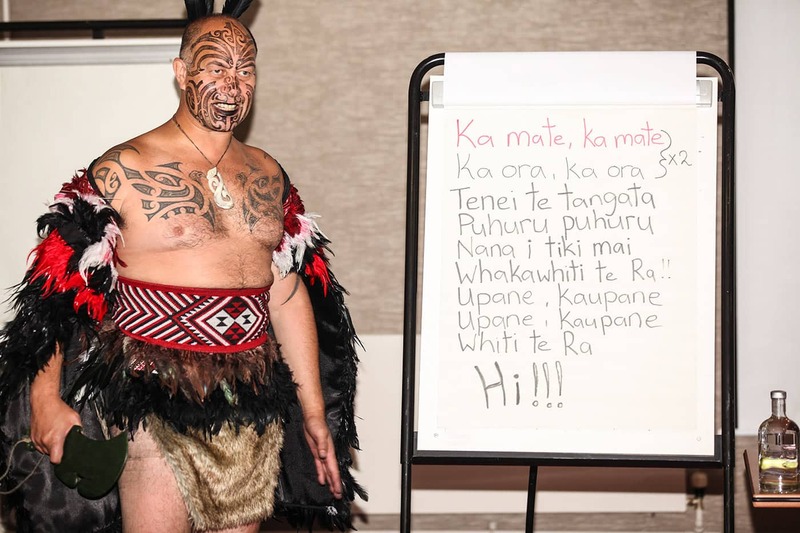 We are one of only two companies with authentication from Tribal Elders in New Zealand to use Haka for team building, ice breakers and energisers. 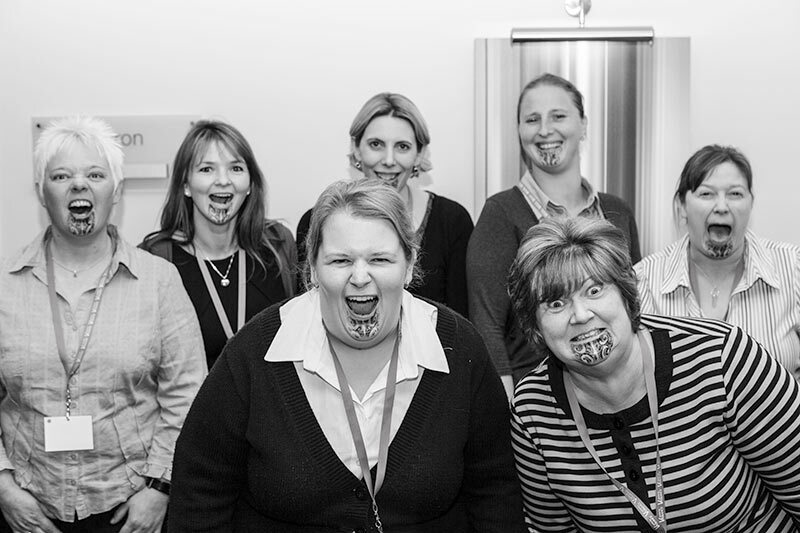 With so many companies offering non-authentic versions of the Haka, insist on your Haka masters being Maori. There is no substitute. 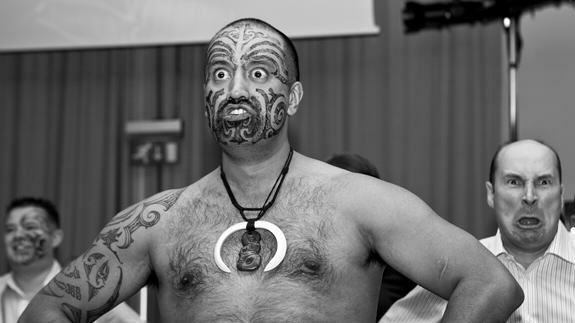 In the video below, our Maori Warrior Bruce provides a Haka display. Bruce and Lisa Hunter then answer the following questions about our Haka workshops, which we often receive from potential clients. 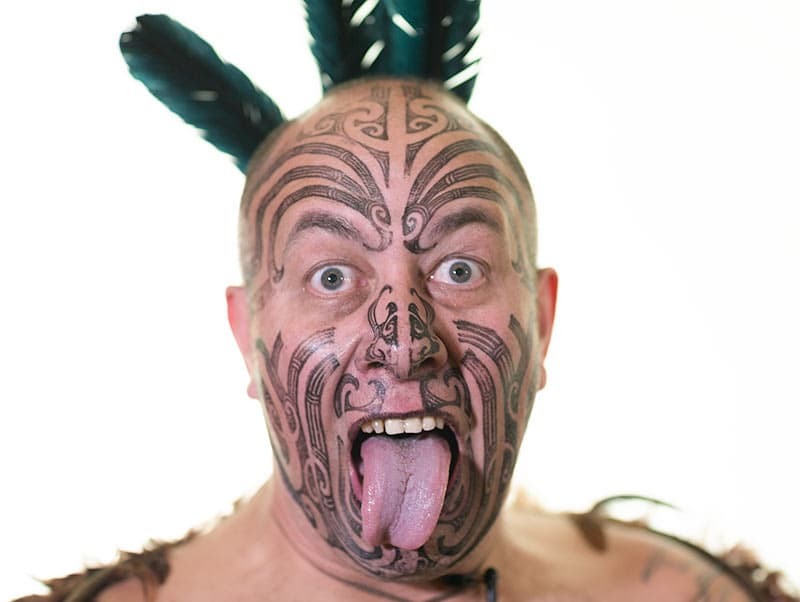 Your group will experience 100% Maori passion from our authentic New Zealand warriors, some of whom are related to the original tribesmen who wrote this Haka. 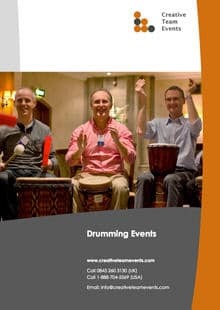 Please download our Haka events brochure (in PDF format), which provides further information about our authentic Haka events.